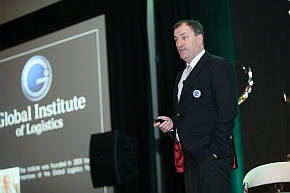 Kieran Ring is the Chief Executive Officer of the Global Institute of Logistics which he founded in 2003 with members of the Global Logistics Forum under the Chairmanship of the late Robert V. Delaney (Bob), the renowned US author and logistician. Kieran has worked at the forefront of the industry since 1995. As one of the original contributors to the definition of logistics, Kieran’s mission through GIL is the promotion of logistics as an application-oriented scientific discipline with the goal of progress in the balanced achievement of economic, ecological and social objectives. His specific subject matter expertise is the maritime container logistics supply chain. His work includes the development of the Container Terminal Quality System and the establishment of chainPORT the alliance of the world’s leading container port authorities. 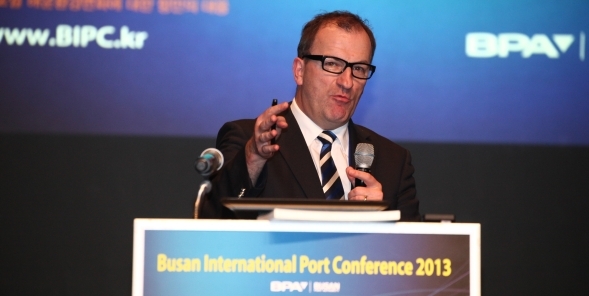 He is the moderator of the OECD/ITF Global Maritime Logistics Forum. Kieran began his career in the early 1980s working as an industrial engineer in the European multinational manufacturing sector. By the late 1980s, he was working as a publisher in the trade, technical and scientific media where he was directly responsible for journals and magazines, which documented the rise of foreign direct investment (FDI). In 1989 he was appointed Deputy Publisher to the Paris-based Eurexpansion Group with responsibility for Ireland’s ‘Sunday Business Post’. In 1995 he was appointed Executive Director of the European Institute of Transport. Kieran is regularly invited to speak at industry and related conferences across the world. He is particularly experienced as a moderator and is recognoized as being skilled in bringing together varied and disparate opinions and moulding them to argue for a holistic view of the global maritime logistics chain. Below are a selection of engagements which Kieran has participated in.